If you mention home automation or Smart Home to almost anyone and immediately visions of the Jetsons come to mind. We may not have flying cars and a conveyor belts to get us dressed in the morning, but home technology has definitely come a long way. Home automation has grown to focus more on giving comfort and convenience instead of the glitz and glamour. Much of the available smart home technology is designed to make your life easier while adding a level of safety and security to your home. I installed my first Amazon Echo a few years as part of the pilot program and my family loves it. However, beyond checking the weather, telling jokes, and listening to music, it didn’t do much else. It’s easy to think that if you have an Echo, you can control your lights, raise your shades, or adjust your thermostat all with simple voice commands. The secret to all of this is that in order for this to happen you need other components and “smart devices” to work together as one. 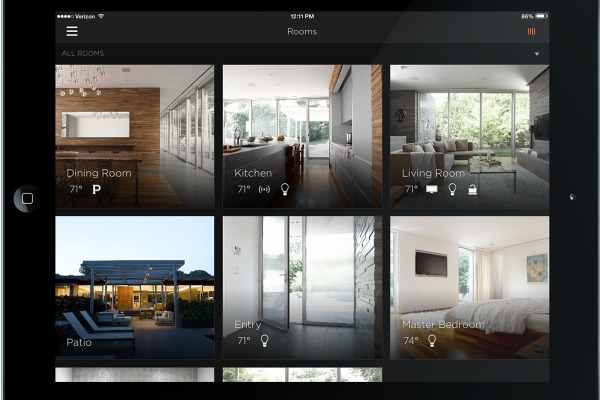 Where should your home automation design start? A quick stroll through the aisles of your local home center would have you believe that turning your house into a Smart Home is a simple DIY project. However, as many things electronic can be, it isn’t quite that simple. The vast majority of smart devices have two main obstacles for the homeowner to overcome. 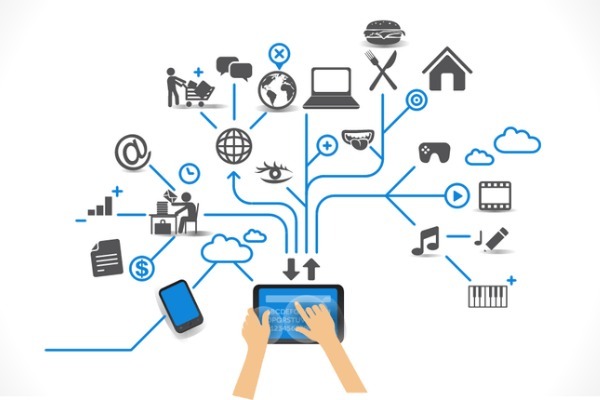 First, all of these smart devices require an excellent internet connection and wifi which the average smart home does not have or come with. Second, most of them require a direct connection back through the cloud to their own servers in order to work – this makes it difficult to seamlessly integrate with with other smart devices you may own or want to buy in the future. Don’t worry just yet! Your new Smart Home is still within reach. In this article, we are going to look at how to turn your humble abode into a Smart Home in five easy steps. 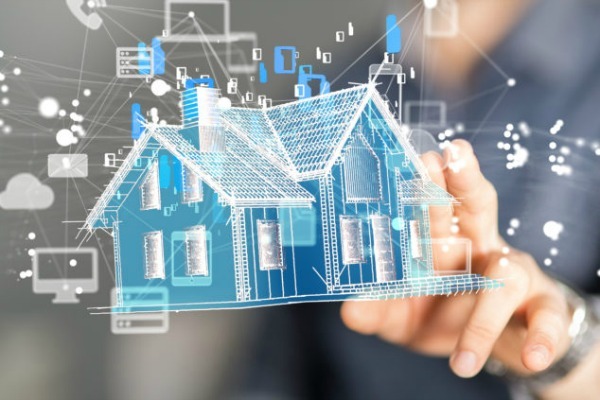 The first and most important step for home automation in your smart home is to make sure you have a reliable home network. Poor wifi coverage is typically the weakest link in a smart home. This is why you need to start any home automation project with a great network. 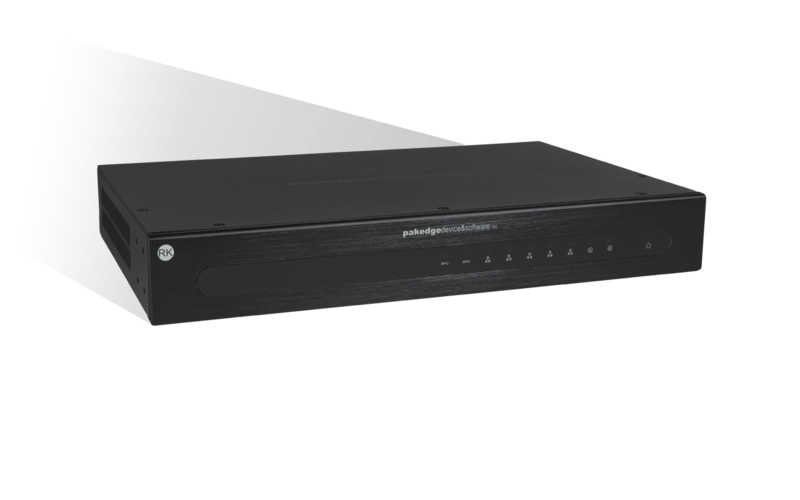 You cannot rely on the networking equipment your local cable or phone company provides you with. These simple network devices are built to be as inexpensive as possible. Many even allow your internet service provider (ISP) to gain access to your router and information. They open up free guest networks on your wifi for anybody to use. I won’t mention any names but it rhymes with “infinity” and begins with an “x”. The typical wifi router you can purchase at the local big box store can be an improvement over the one you rent from your ISP. It doesn’t, however, have the capacity to handle all the devices in a typical smart home. This includes wireless speakers such as Sonos or BlueSound, smart hubs like the Amazon Echo or Google Home, smart TVs, streaming video players like AppleTV or Roku, smart thermostats like Nest and Honeywell, and a myriad of other smart home devices. This is where business-grade and high-end networking equipment comes in. Investing now in good networking equipment from a manufacturer like Pakedge or Luxul will pay off huge in a very short time. High performance routers and switches have the capacity to manage all of your smart home devices. They also include powerful management software to help keep your smart devices from interfering with each other. Begin by replacing your ISP’s router with a basic modem that they cannot gain access to. Then build your home network with a high performance router, network switch, and wired access points. There is a misconception out there that everything is going wireless and wireless is so good that there’s seldom a need for a wired network. The truth is that while Wi-Fi devices have improved greatly in speed and range in the past few years, you still have to compete with all your neighbors’ Wi-Fi and also all the other wireless devices found within your own home such as bluetooth speakers, cordless phones, wireless security systems, printers, and smart home devices. Wireless networking is a great convenience for portable electronics or devices that don’t have a wired connection available but even the best wireless connection will ultimately not be as fast, as reliable, or secure as a wired network connection. For a wifi network to be reliable in your smart home you not only need great coverage but also a wireless controller to ensure consistent bandwidth and that all your smart home devices play nicely with each other. All of the home networks that we design begin with robust wired connections from routers and switches and then include wired access points placed around your home to create a blanket of wifi coverage. There is nothing is cooler than the ability think of a song and then listen to it in your favorite room or anywhere in your house – all while controlling it from your phone or tablet or even your voice. If you are fortunate enough to live in a home that has been pre-wired for sound or has built-in speakers, you could use a music server placed somewhere in your home that is connected to the internet and your home automation system. The music server will give you access to your music services, such as Pandora, Naptster, Tidal, XM Radio, etc.. and your own library of digital music that you own, and then streams this music over the existing wires to speakers installed around your smart home. If your home was not pre-wired and wiring is not a possibility, another option is to make use of wireless powered speakers to get music around your house. These self powered wireless speakers simply need an connection to an AC outlet and allow you to get music into a room that would otherwise not be possible in a finished home. 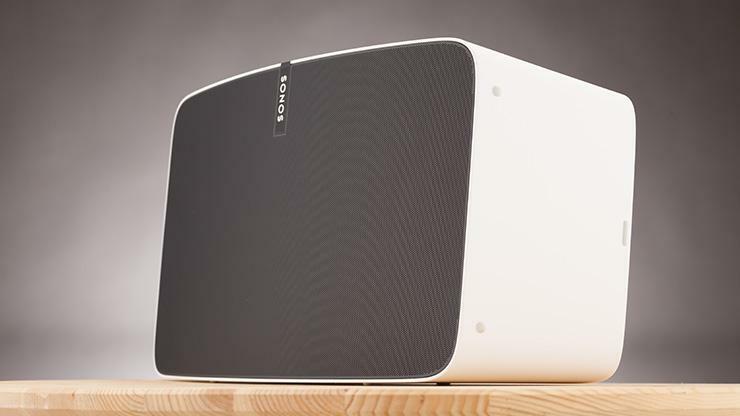 Companies such as BlueSound and Sonos make great wireless speakers and bluetooth speakers that can play music in a single room or group several rooms together to play music throughout your smart home, without the need to run wires from room to room. While these wireless speakers bring a great deal of convenience for background music they may not have the performance you desire for real music listening. Fortunately there is an in-between solution. 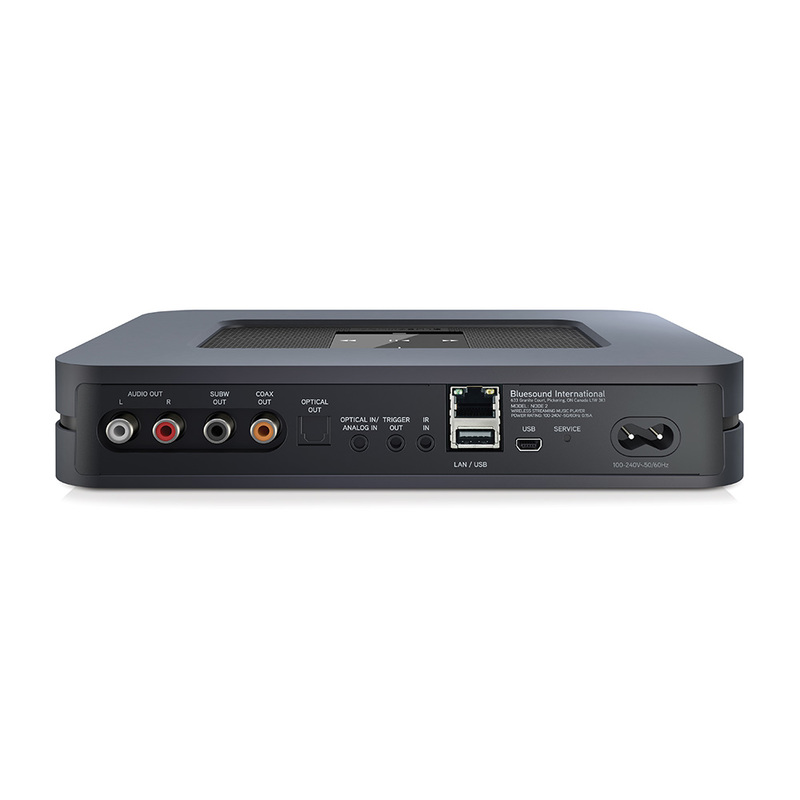 Wireless streamers from BlueSound and Sonos have the ability to connect wirelessly to the internet but also have several output options to connect to an existing audio system or home theater system which allows you to get much improved sound quality by making use of high quality speakers and stereo components. And you can improve this even further with the use of high quality USB DACs and high performance audio cables and power cords, but we’ll save that for another article. Wireless speakers and wireless streaming players bring a great deal of convenience and even quality without the need to run cables. However these products may not play well in a larger home automation system. For example they cannot control the lights or turn on the TV to a particular channel. For that we would look to a home automation company such as Savant or URC to bring the whole smart home experience together. Probably the coolest part of any Smart Home is lighting control! 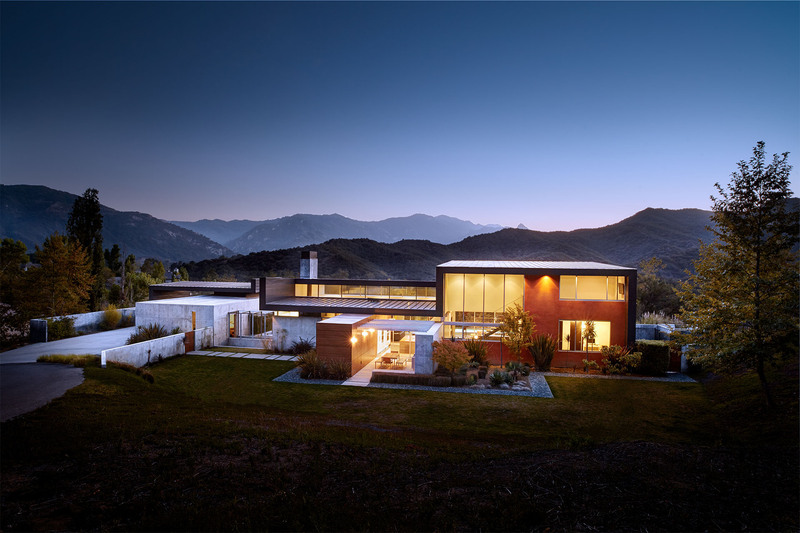 Imagine driving up to your Smart Home after dark and the house automatically lights up to greet you or pressing a single button to recall a lighting scene that you set up to create a certain mood. Add my personal favorite, the ability to turn off my entire house by asking “Alexa, turn off the house” on my way out the door, and you start to see how cool this can be. First off, let’s quickly highlight what we’re talking about. Smart lighting control is an additional layer of technology you can add to your existing lights around the house that will allow you to create custom lighting scenes or turn on or off all the lights in your smart home from any number of keypads or remotes located around your house. Voice commands from devices like the Amazon Echo or Google Home Mini can also be used for simple hands free operation. Smart lighting control includes devices such as remote dimmers and switches that replace your existing light switches, smart LED bulbs and accent strip lighting that can change color to suit any mood, smart plugs for lamps and appliances, ceiling fan speed control, outdoor lighting control, and energy management. Both Lutron and Savant offer a rich selection of lighting control products including smart dimmers, switches, and keypads. Lutron has been building dimmers and switches almost since light bulbs first appeared. In addition to switches and dimmers, Savant has some really great smart LED bulbs and strips that are controlled with their TrueImage App which is second to none. Watch the TrueImage App Video here. When you come home after work, do you flip on the same set of lights every time? How about when you go to bed, do you walk around the whole house to turn off all the lights? Imagine controlling all of those lights with a keypad located in your bedroom and another one near the garage door. With a quick press of a single button, you can turn off all the downstairs lights, dim the wall sconces by the garage, and turn the hallway lights to 15%. Instantly you have set your home into bedtime mode. This is just a glimpse of what lighting control can do for you. Do you entertain often? Program your lights to go into party mode: the family room is dimmed, the lamps are on, the kitchen pendants also come on, and your landscape lights illuminate the patio and deck…all with the press of one button. If that doesn’t make you feel like George Jetson, I don’t know what will. What would a Smart Home be without the ability to control the temperature from your phone? Probably the greatest convenience and time saving device on the list, a remote thermostat allows you not only to adjust the setting from anywhere, it also helps you with energy management. A properly integrated smart thermostat can work together with your home automation system to control lights and shades to create the right climate based on the day, month, season, and more. You might think I am about to recommend a popular, well-known brand of wifi thermostat. Well, not in this case. Most wifi-enabled thermostats have one major drawback; they all require a connection directly to the manufacturers website in order to work. When you send a command from your phone or automation system to your thermostat, the signal is actually passed along your network connection, through the cloud, to the manufacturers’ servers, back through the cloud and ultimately to the thermostat. This is done so the manufacturer can collect valuable data about your usage and charge third party home automation vendors licensing fees. What happens when you have an internet outage or an update and the thermostat no longer communicates with your home automation equipment? This is why we recommend and use wifi thermostats that work directly on your local wifi network and do not need a connection to the manufacturer in order to work. 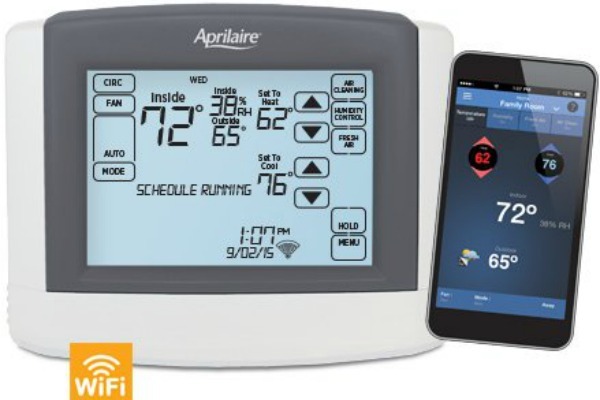 Savant, Aprilaire, and Ventstar make wifi enabled thermostats that work on your wifi network to communicate directly with your home automation system, and still have a reliable analog interface in the event of an emergency. We have seen a huge surge in the demand for cameras in a residential smart home, and not just simple doorbell cameras. As we travel more and have an increasing number of work demands, our homes are left unattended more than ever. While security systems can protect your home and notify you of a burglary event, security cameras allow you to see what actually happened. Security cameras aren’t just for security they allow you to monitor events and activities from afar. These days security cameras are at their best with a second home or a vacation home. Are the landscapers doing their job? Did the cleaners show up as promised? Is there a lot of snow in the driveway? Why is my stereo system turned on? Security cameras are easier than ever to install and many do not require extensive wiring. A lot of the cameras only need power and work right off your existing wireless network (hence the need for robust wifi). One recent trend in cameras is adding a camera that integrates with the garage door. Have you ever pulled away from home and wondered if you shut the garage door? Now you don’t have to worry; easily check the camera feed in the garage and then raise and lower the door from anywhere using your smart phone app. Expecting a delivery? Allow your delivery person to leave your items securely in the garage and then close the garage door and arm the security system when they are done. Let’s be honest, having any of these smart home technologies by itself would be pretty cool. People show me how cool they are because they use an app to turn their thermostat down from somewhere else. Or use another app turn on a lamp in another room. Or yet another app to play music on a bluetooth speaker or wireless speaker. Others have monitored security systems that require another app to arm the system when they are not there. However cool it is, you will quickly tire of jumping from app to app just to operate your home. Using six apps to control six smart devices is no different than using three remotes to control three av components just to watch TV. While this is smart home technology, but it’s not home automation and surely not convenient! That is where a home automation platform from Savant or URC comes into play and why it is so vital to pick the right brands upfront. Home automation is the brain or traffic controller that links all of the technology in your smart home into one app. 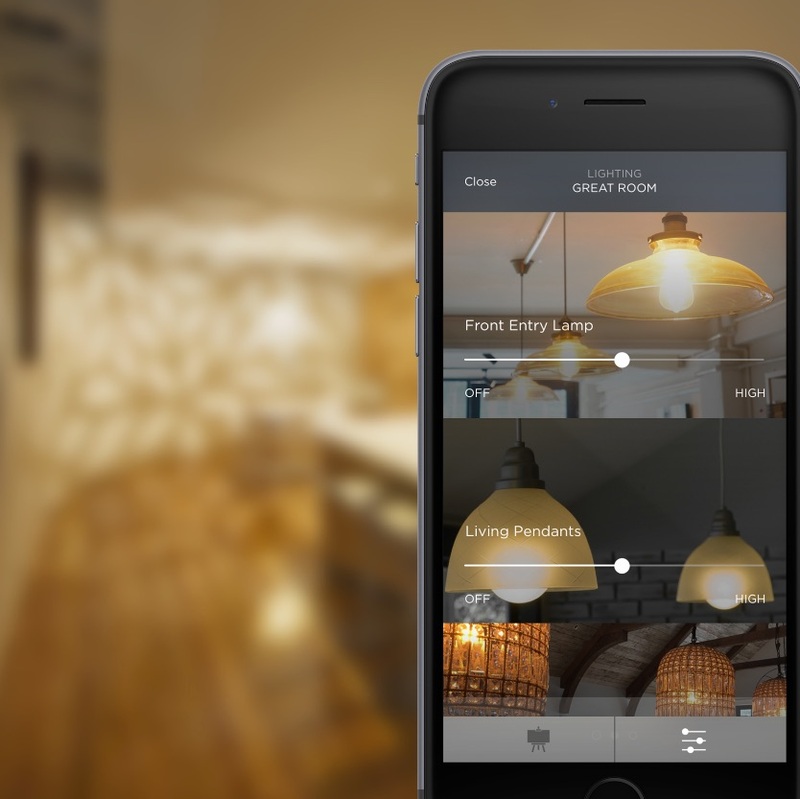 No more waiting for apps to open on your phone or trying to remember the settings for you dining room lights. Now, from one location, everything is at your fingertips. A proper home automation system can also be set up so that every family member can have access to and control. You can even create custom smart home settings for each family member. Let the kids change the music but not adjust the thermostats. A proper home automation system knows the state of every smart home device in your home. Good home automation also allows you to create scenes that blend multiple smart home devices seamlessly to work as one. The house warms, your favorite song fades in, and the shades go up to let the light in. The kids are on the bus and you are headed to work. Simply tap “Away” to turn off the lights and music and get out the door faster. The tables are getting delivered for this weekend’s party. Open your garage door remotely and then close it and set the alarm once everything’s been unloaded. Check the security cameras to make sure the landscapers showed up. Dim the lights and create the perfect playlist—then call it “Dinner” and turn it into a scene. Then activate the scene with a touch of a button or even with your voice as your guests arrive. Curl up to your favorite show, then set the alarm and tap “Goodnight”. Your home automation system will turn out all the lights and lower the thermostat from the comfort of bed. Listening Fatigue and How to Fix it Are You Sub-Conscious – Part 1.